It is available for 43000 Euro. The details on engine output, gearbox and emission class are as follows: Euro 4, 434 hp, gearbox: automatic, transmission: Volvo ATO-2512-C, Automatic. The details on axles, suspension and euro norm include: suspension: spring, 8x2, wheel base: 5100 mm, brakes: drum, front tires: 40% / 40%, 40% / 40%, rear tires: 40% / 40%, 40% / 40%. The mileage is 689192 km. 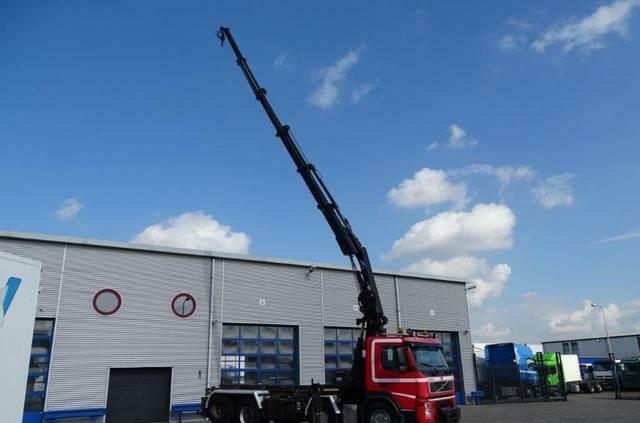 The unit’s location is in Velddriel, Nederland, Netherlands.